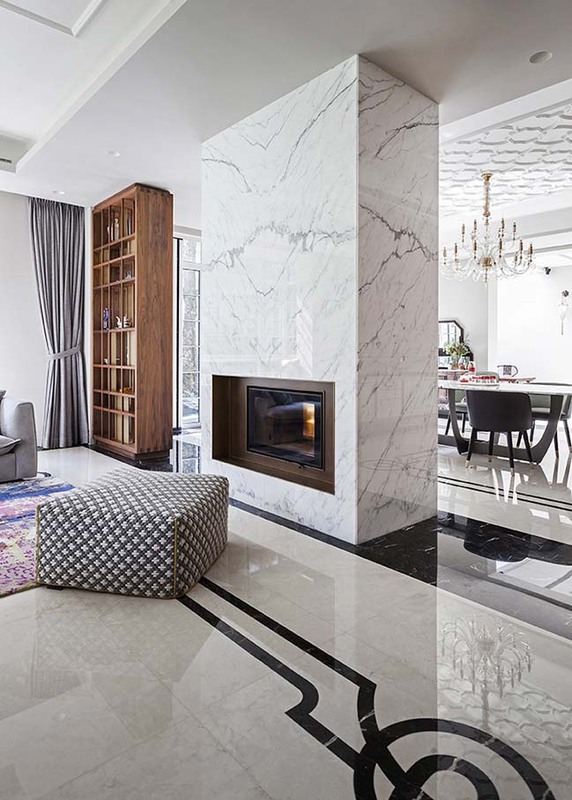 Hunan Lu Villa is an exclusive residence located in Shanghai, which Vudafieri-Saverino Partners - architectural studio based both in Milan and also in Shanghai - has reinterpreted defining an unheard-of balance between oriental evocation and western nuances. 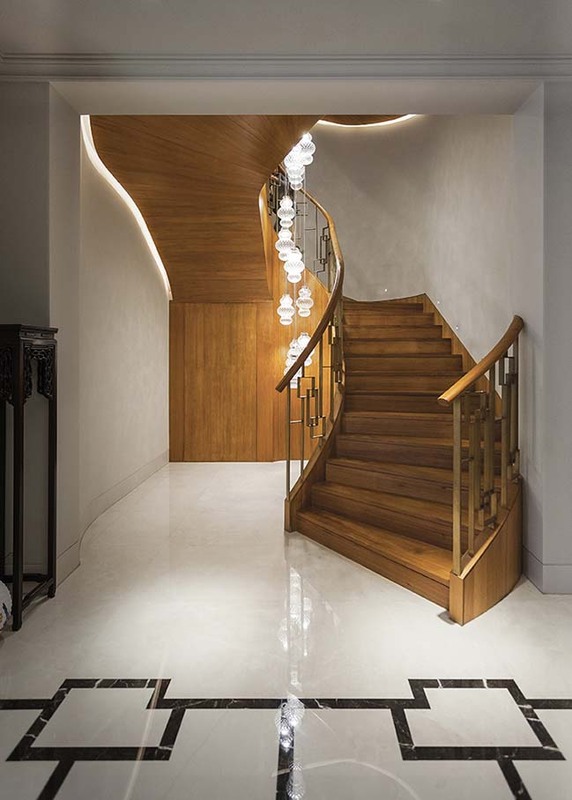 From the architect: The project represents a perfect combination between two distinctive traditions - Chinese and western - and of the long history of their relationships: inside antique artefacts, artworks and ritual spaces coexist in perfect harmony with western “objects of desire”, neither doming the other. 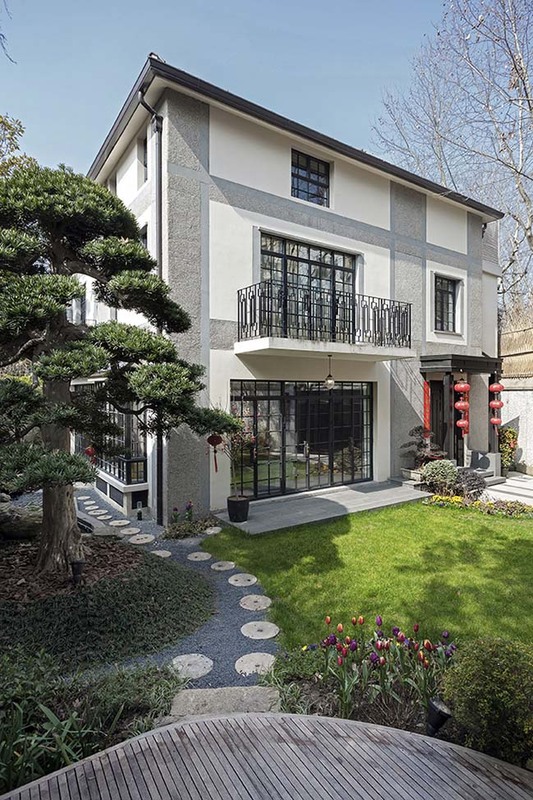 It is precisely for these characteristics that Hunan Lu Villa has recently been awarded the prize of best project in the Private Housing category at the Archmarathon Awards 2018. 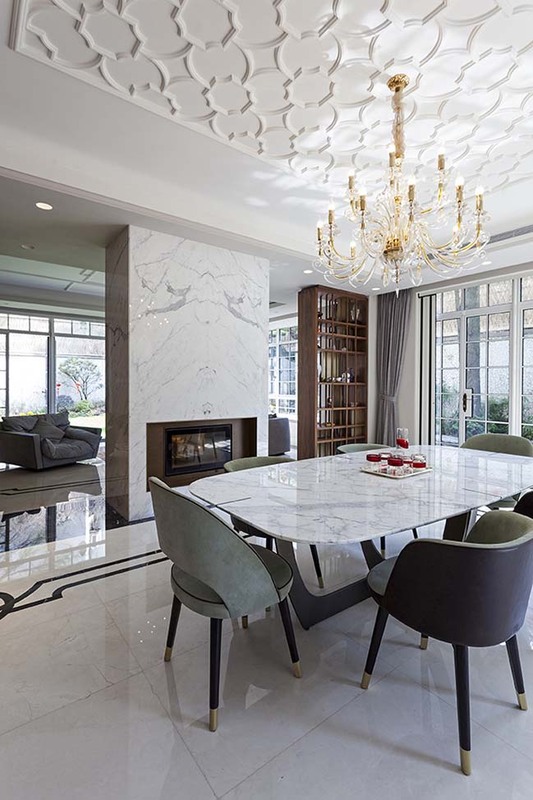 The residence is located in the heart of Shanghai’s French Concession, an area founded on the left bank of the river Haungpu, which during the 1920s became a district with a strong international connotation. 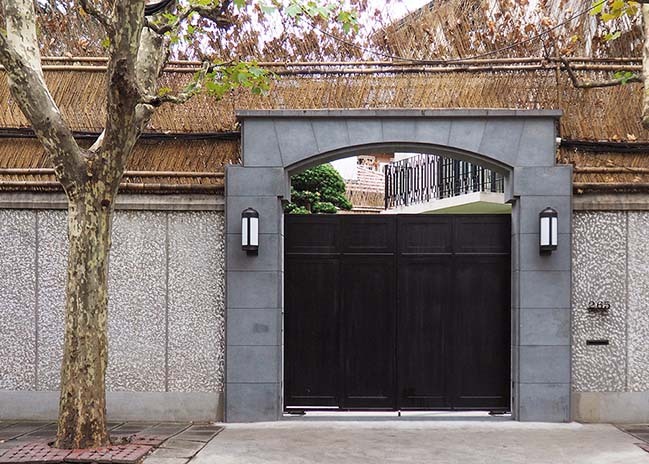 This is the area in which the atmosphere of old Shanghai is most felt: the most beautiful colonial residences are located here, among elegant treelined boulevard defined by high walls. 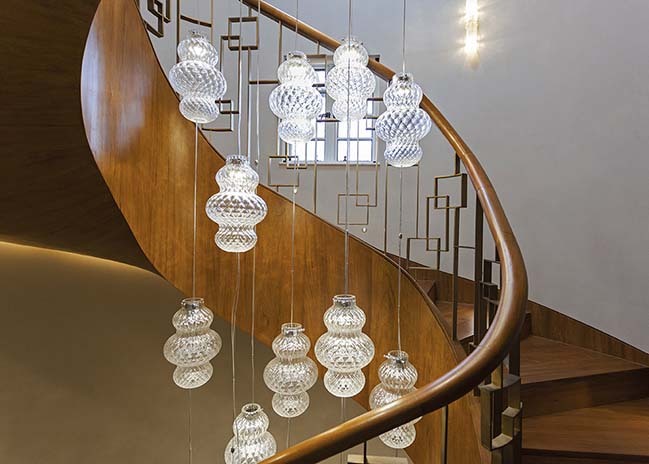 The Villa represents a typical example of these homes, with their mix of elegance, modernity and tradition. The residence was built in 1920 and was bought by the present owner in a semi-ruined state. 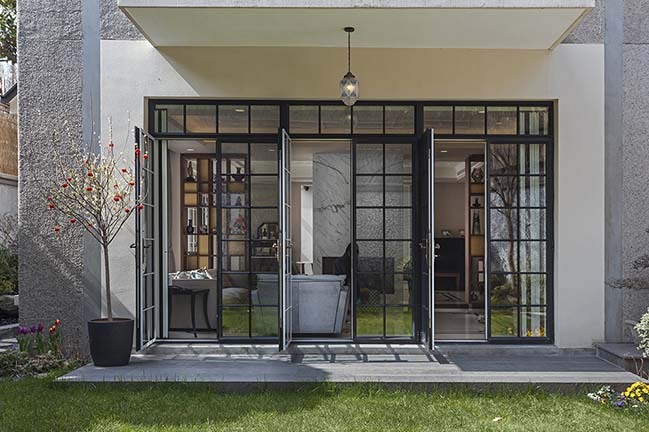 The building structure has been the object of a significant restoration project by Vudafieri-Saverino Partners, which has involved all the external areas, from the garden to the facade, passing through the interior architecture and the furniture. 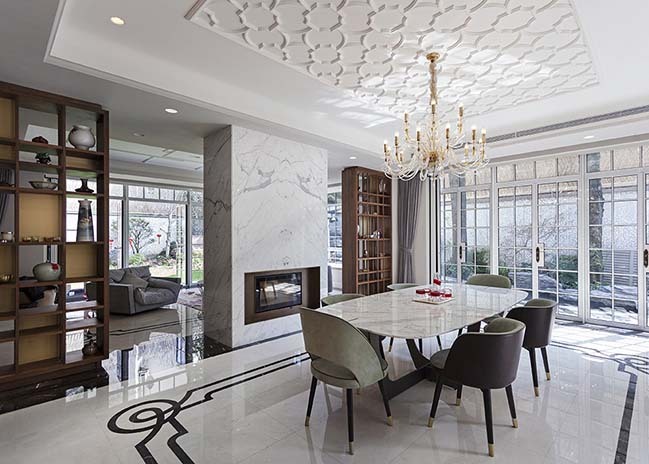 An intervention in which the main thread has been the mix of two distinctive traditions: on the one hand the owner’s desire to re-evoke modern, luxurious European spaces, on the other willingness to respect the historical context, with the revival of typical Chinese patterns. 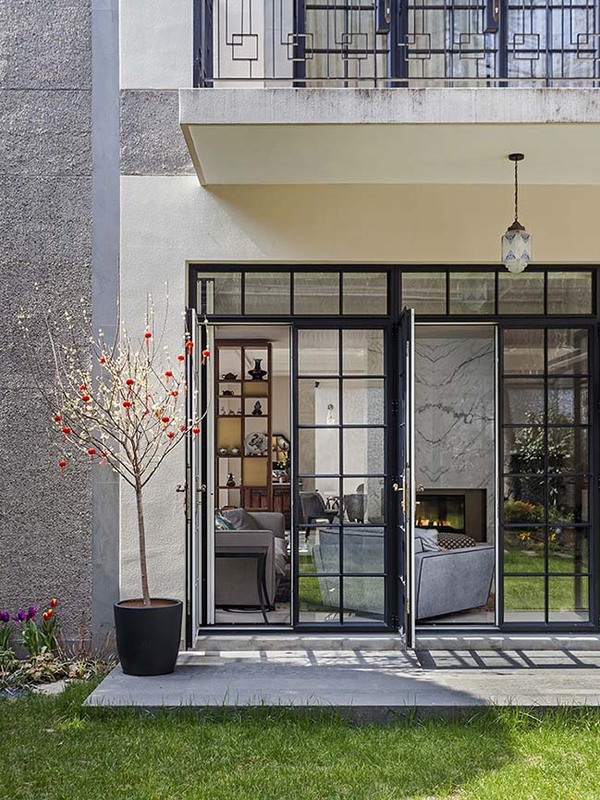 In the realization of the facade a careful analysis of the materials used in 1920s Shanghai has been fundamental: the combination of light yellow marble, river pebbles and grey stone creates a perfect equilibrium, exalting the building’s elegance. The external building structure has been completely redesigned, with the addition of the top floor and of the large windows: an iconic element which reinforces the relationship between the interior and exterior. 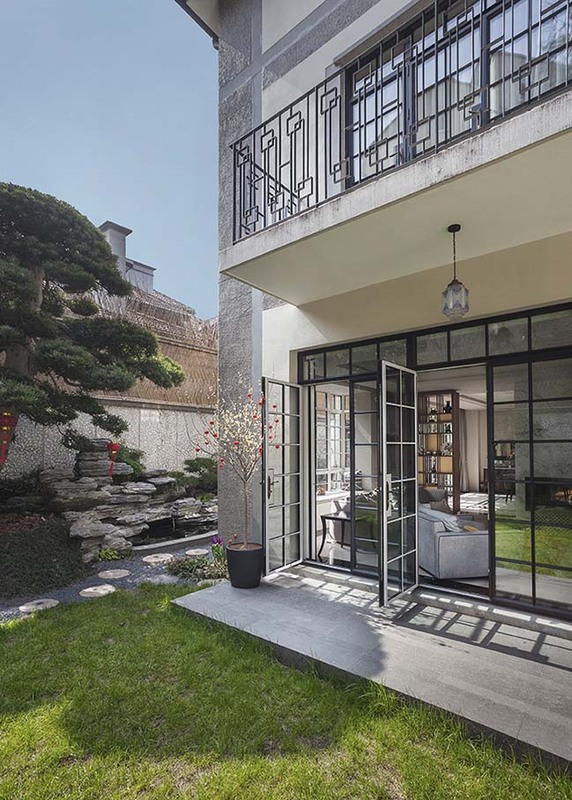 The heart of the Villa is the enchanting traditional Chinese garden: completely closed off and protected from outside gazes, all the spaces of the house open towards it. 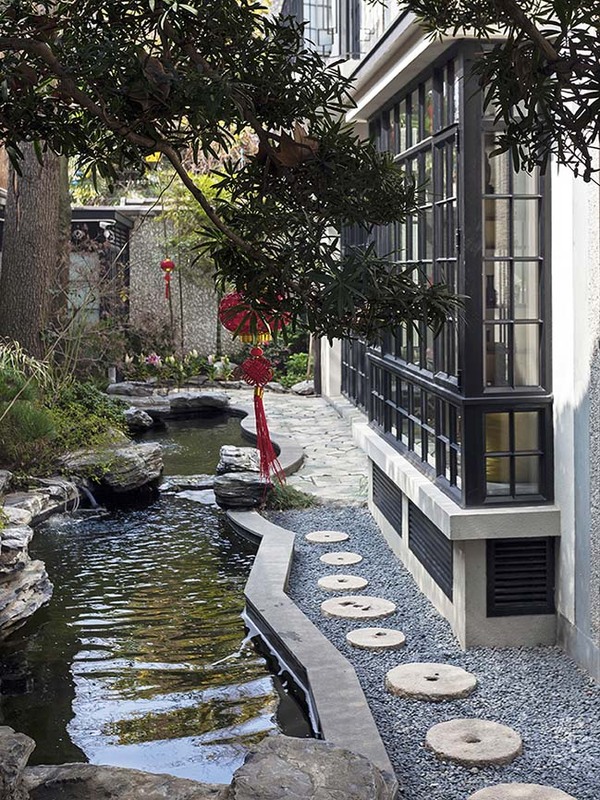 The garden has been designed in collaboration with a Feng Shui expert, in order to respect the tradition’s rigid rules. Internally we discover that harmony of shape, the result of a process in which the balances of nature become delicately and gradually re-proposed by man. The spaces have been made more intimate by carving out cosy and delicate corners, so as to confuse the visitor’s sense of direction and time. Water, stone, sky, and green are the fundamental elements which together contribute to create this balance. The rocks, with their hardness and immutability contrast with the water, with its continuous flowing, just like the plants and flowers which change with the seasons. The rocks themselves become a medium of spatial organisation, in order to break up the straight lines and hard edges. 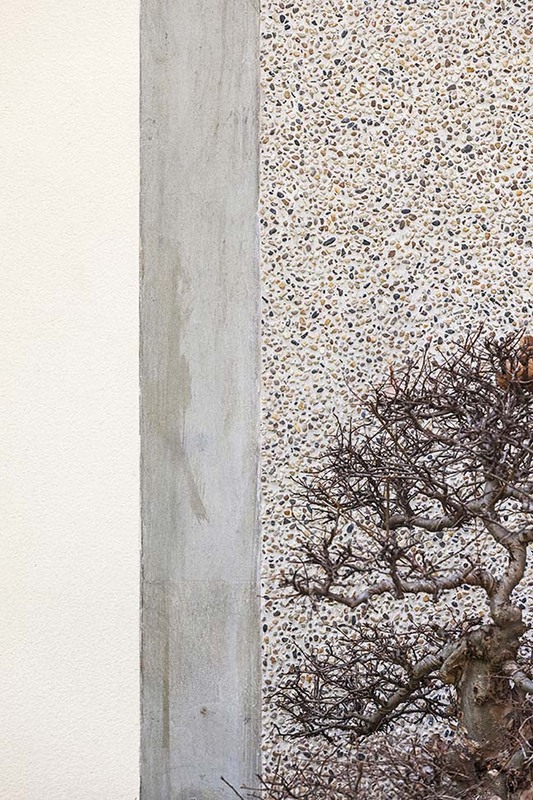 The concept of opposites, of yin and yang, can also be found between the building’s solemnity and the fluidity of the green spaces, between the small size of the trees and the imposing nature of the architectural structure. The residence consists of four floors: in the basement there is the reception hall and the service area. 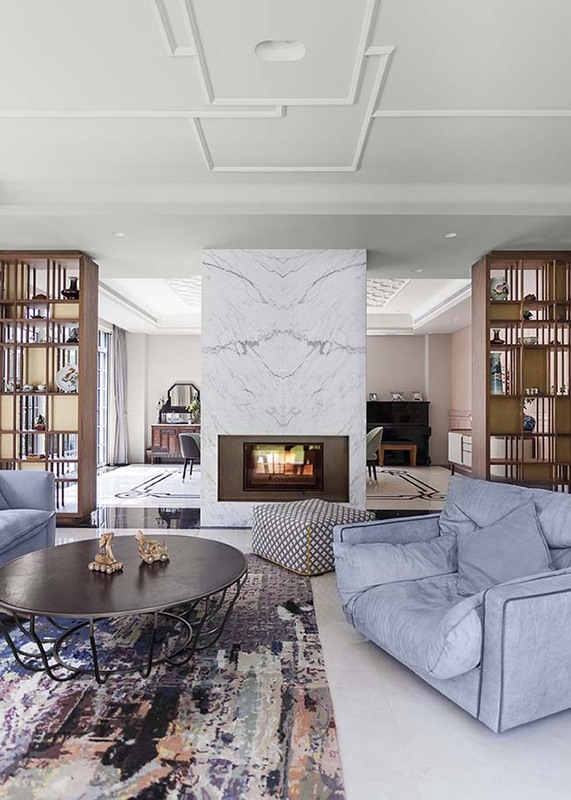 Dominating on the ground floor is the ample living area which is semi-open and faces externally. 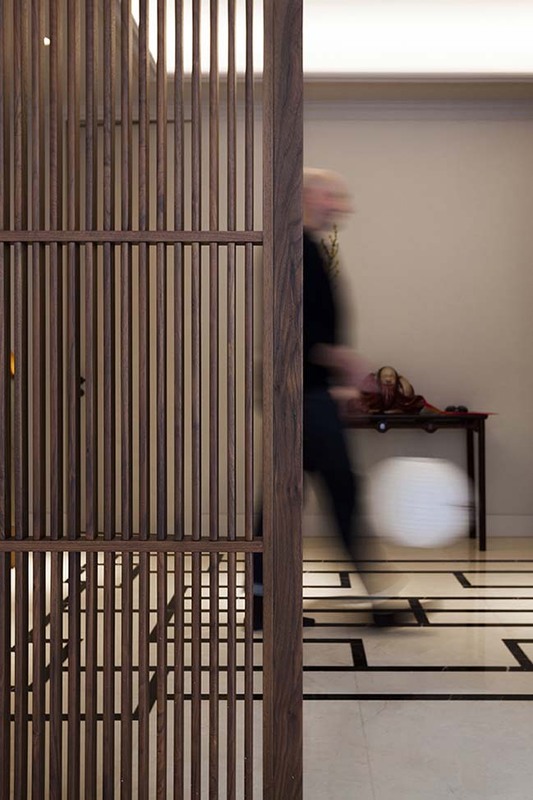 Alongside the western open space kitchen lays the Chinese one, which is construed as a closed space. 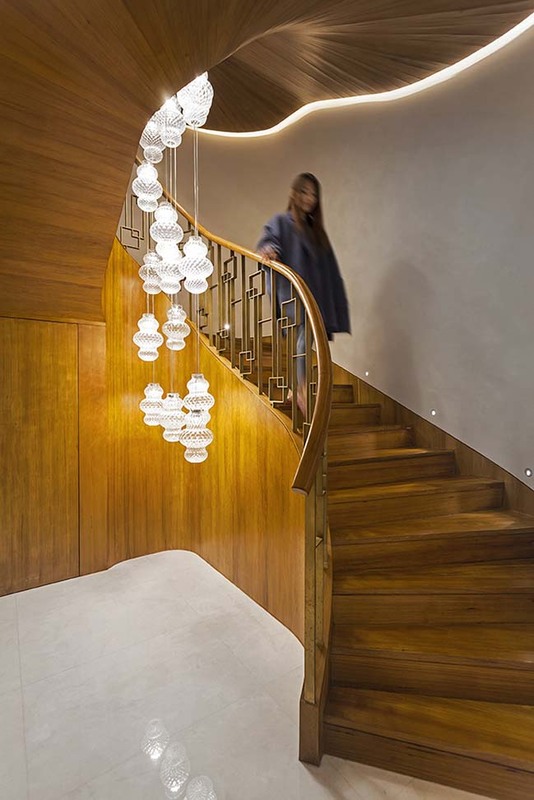 The imposing wooden spiral staircase, new architectural element, represents “the villa’s vertical soul”: above which stands out an imposing suspended lampshade which recalls traditional Chinese lanterns. 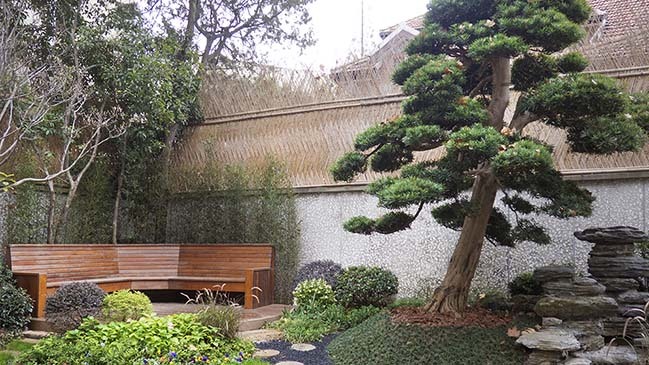 On the first floor are located the bedrooms and the tatami area for the tea ceremony. On the top floor there is the study, a small Buddhist prayer temple for the ancestors and two guest bedrooms. 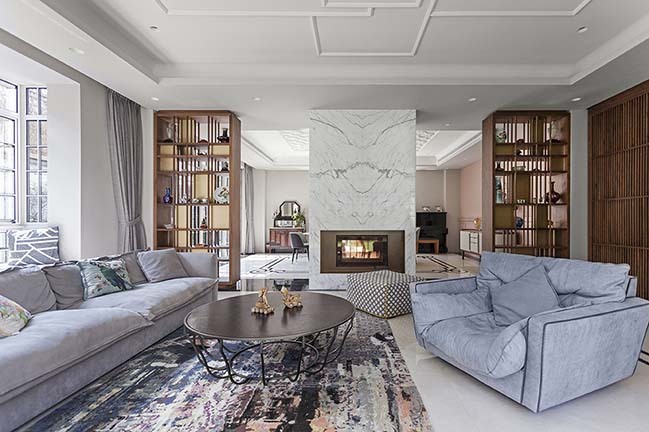 The interior design project starts out from an analysis of the past in order to propose a contemporary environment: the floor marbles on the first floor, the wall colours, the wood and brass book cases, and the ceiling decoration define a welcoming, charming space. 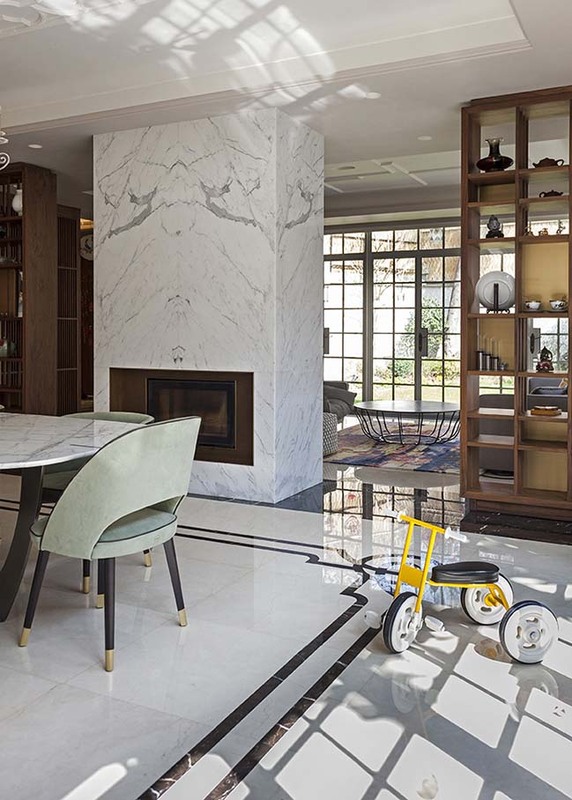 Sophisticated details and refined objects characterize these elegant, luxurious spaces.